Westin Automotive has out done themselves again with their Westin HDX grille guard. The Westin HDX grille guard is designed to add ample front end protection to most trucks out there. 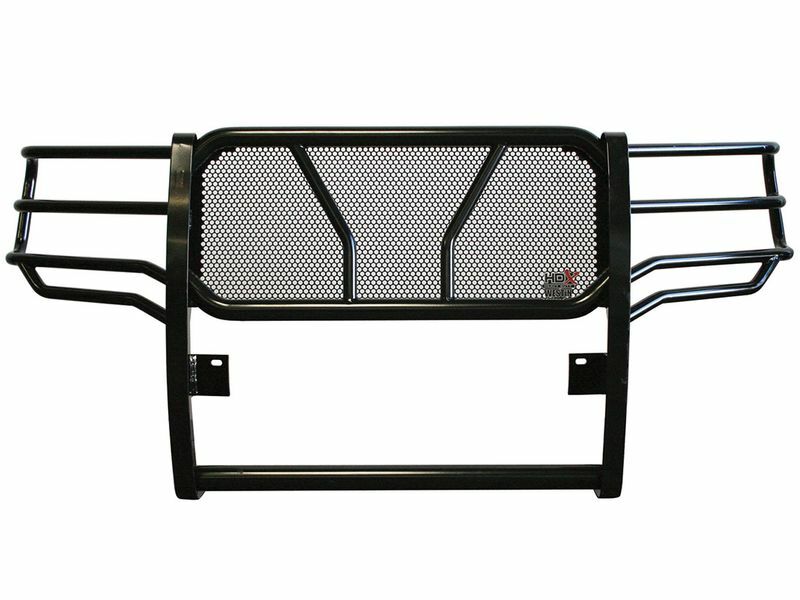 Offering 2" diameter tubing, this brush guard is guaranteed durable and will stand up against any pest on the road as well as minor fender benders. The Westin HDX grille guard comes equipped with heavy duty rubber pads and a full punch plate center grille. The punch plate center grille is offering optimal protection as well as rugged looks, completely enhancing your truck's front end. A full wrap around design ensures complete grille and headlight protection. The Westin HDX grille guard is available in 2 finishes including polished stainless steel or a mild steel, which is powder coated black. Also available is the Westin HDX winch mount grille guard. This option accommodates most manufacture winches up to 12,000 lbs. rated line pull. The winch tray is pre-drilled for winch mounted and utilizes a low profile MAX winch tray faceplate where needed. With these options and features available, the Westin HDX grille guards will exceed all of your expectations. The Westin HDX grille guard is offering an easy bolt on installation. There is an install manual that is sent with the product and offers clear cut and easy to read directions. For additional information please call us at 1-877-216-5446 or 701-253-5906.